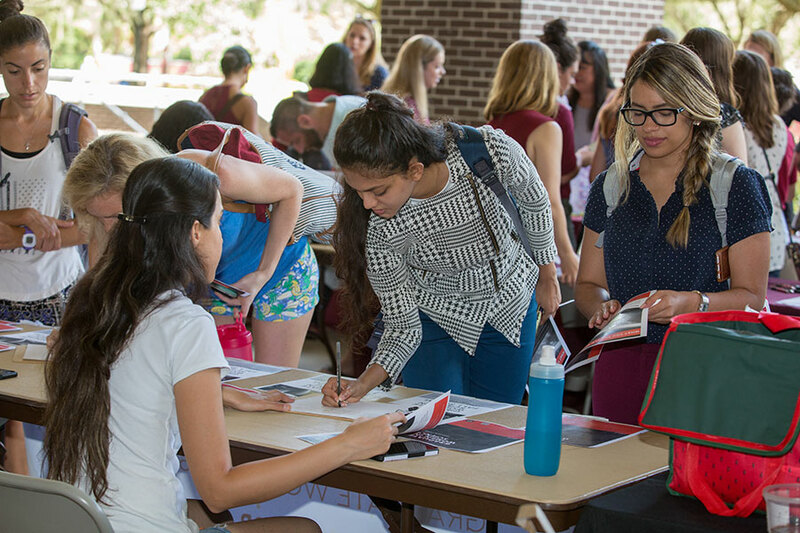 Applications for graduate education — and graduate student enrollment — at Florida State University are on the rise. Application numbers are up 11 percent over the Graduate School’s record high of 8,749 applications in 2012. The total number of applications — more than 9,700 — received in Fall 2018 also represents a 26 percent increase over those submitted in Fall 2017. The number of graduate students enrolled at Florida State is also the highest it’s been since 2012. FSU Provost and Executive Vice President for Academic Affairs Sally McRorie credits the work of the newly established Graduate Enrollment Team for much of the success. The eight-member team, created with the help of the Office of the Provost, provides resources, training, marketing skills, best-practice advice, reports and extra band-width needed to academic units to market to all students — from the prospect phase until a student’s first day of class. 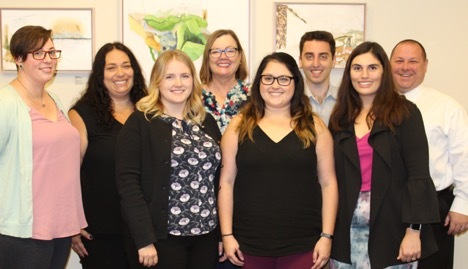 “It is simply brilliant how the Enrollment Team has meshed with colleagues in the colleges and units to forge an amazing alliance that adds great synergy and value to the academic program recruitment efforts,” said Mark Riley, dean of the FSU Graduate School. (L to R): Courtney Nester, Summer Toomey, Mallory Foy, Provost Sally McRorie, Kari Aime, Michael Walsh, Samantha DeZerga, Brian Barton. Since its inception in August 2017, the group has trained more than 300 faculty and staff members to use the university’s admissions and communication tools. The team has offered dozens of one-on-one and group training sessions and developed hundreds of digital marketing materials. Last summer, the team concentrated on developing a concise application procedure that helped to streamline each unit’s application requirements and developed a communication flow for prospective students. In addition, the team helped colleges and departments in areas of need. For example, the team recently partnered with the College of Business to enhance the already sophisticated marketing communication plan of the college’s graduate recruitment efforts and assisted in the training of new university software. Graduate School administrators said the team brings a sense of community and personalization to the graduate recruitment and enrollment process. The Graduate Enrollment Team plans to disseminate weekly best-practice trainings, a suite of real-time enrollment reports and further improvements to its communication plan in the next few months to keep FSU going in the right direction toward meeting the enrollment goal in the university’s strategic plan. For more information on the Graduate School, visit http://gradschool.fsu.edu.